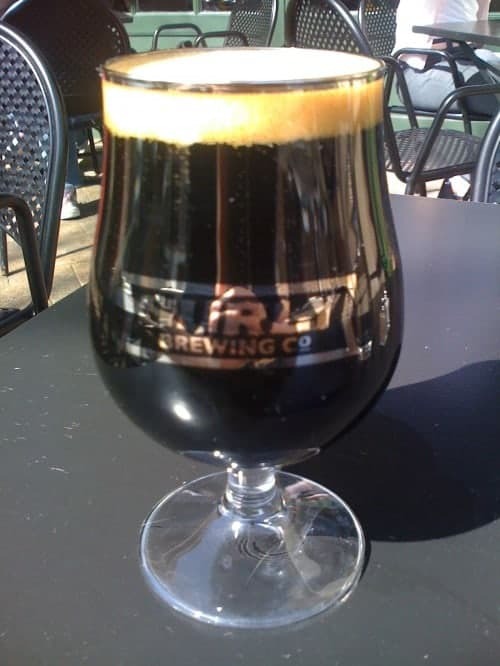 It was spring time in Minnesota and the patio at Cafe Twenty-Eight is an awesome place to enjoy a fresh glass of Surly. Even better, this is a glass of Surly Four, Surly’s anniversary iced double espresso milk stout. Sadly at the end of this month Cafe Twenty-Eight is closing it’s doors. Get in there while you can and enjoy some wonderful food and beer.